and here is your body. Here is your mind. Your body is speaking to you through your mind. Your mind is becoming aware of something that your body is enjoying, or of something that is going wrong within its inner intricate, amazing universe of organs, glands, ducts and whatnot. But here you are, not listening to the mind telling you about your body. Here you are, not listening to your own body! The body will keep giving you signals when it needs something to be fine-tuned or corrected. Each part of your body has at least 24 friends to which it sends out those messages. Each of those friends are on your fingers, toes, palms, soles, even your arms, legs, and ears. But you are busy playing, schooling your mind to ignore the cries, and you do not listen. It is so much more entertaining to listen to something on television, so much more edifying to listen to- but not absorb – the sharing of a sage, so much easier to absorb the pre-digested knowledge of a scholar – so much more satisfying, that we keep giving the keys of our own body, of our own mind, to a force that we feel is outside of us. We do not trust what our own body is telling us. I can throw some jargon at you; but basically this is the brilliant way in which our bodies are designed. They are a self-sustaining system, and each of us is designed to be self-reliant. 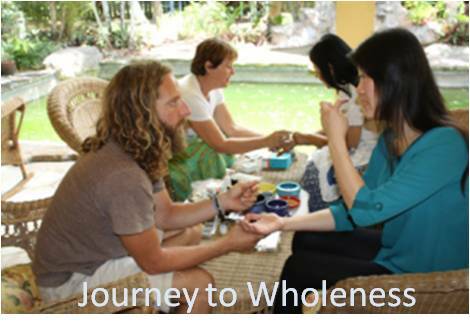 We can choose to learn – to listen to our body, to our mind, and become self-reliant, through Su Jok therapy. When we respond to the body, the body smile is uncovered. The consciousness of this planet is rising, and ultimately each one of us will learn to hear and heed the cries of the body, the whispering of our mind. In that vast cosmic body of which we are a part, we cry out to the universe. The beauty is, that the universe always listens, it always responds. The wonder is, that sometimes when your cry is answered, you do not know because you are – yes, you guessed it – not listening! By all means listen to the sage – as the voice of your own wisdom. Watch that entertainment – while connecting with the wisdom of your own fingers. Go to the teachers, therapist and doctors – to help you become more aware of your body and mind, to realize that we are all here to become Self-reliant. Each one of us holds a unique space in our universe, and we have been given the challenge and gift to keep unfolding, becoming more aware, becoming the light that seeds this universe with joy. You, who are reading this, have listened. You have heard. You and I – we are one, a part of the whole. Like the body and mind, we listen to one another. As we meet, in a healing session, in a learning session, or a presentation, consciousness awakes. What do you have to convey to me? I am listening. What I have to convey to you is – I can help you to listen to your body, to your mind, to raise your consciousness. As each one of us sparks open, the universe sings in joy. That song – are you listening to that song, dear one in oneness? To become Self-reliant, we first have to discover the Self playfully hiding in body, mind and in every aspect of life. We can get attuned to Reiki universal energy, awaken to our true self, tune in to the secrets that Su Jok uncovers. Ultimately, each one of us is designed to be self-reliant. Like a child who needs training wheels before s/he can ride a bike, we need the support and teaching of one another – until we can ride that bike without the wheels. here is body. ~listening~ Here is mind. 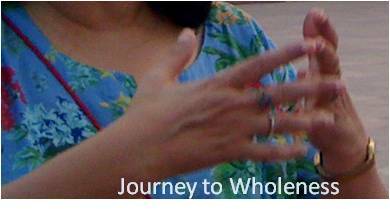 Enjoying this journey of wholeness. ©2015 Meenakshi Suri. Share freely, but with all information including this copyright notice intact.